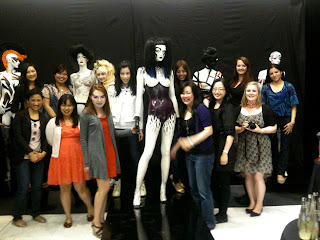 On Sunday Illamasqua launched our first counter in Melbourne at Myer City to a group of fantastic Melbourne bloggers. We headed off to the newly refurbished Myer beauty hall to see Illamasqua’s new home. And the space is palatial! Bespoke, hand- painted mannequins devised to feature in Melbourne and represent the influential subcultures behind Illamasqua’s visionary, the creative brainchild of Spob (Head of Professional Development for Illamasqua) and a team of young Graduates including Kat Sykes. With a large counter and a space to be used by visiting artists and for master classes, Illamasqua has already received a very welcome reception from Melbourne. 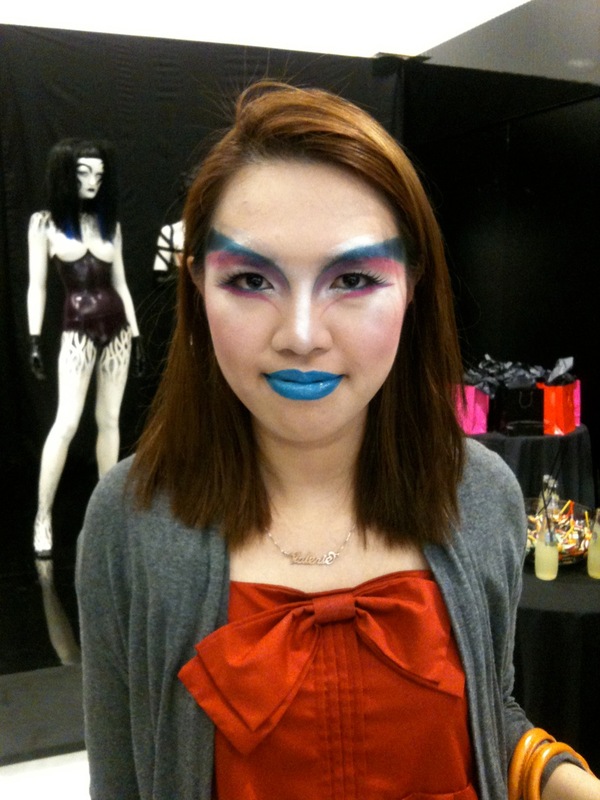 As ‘You’ve Got Face’ put it, the Melbourne bloggers were like a “well-groomed swarm of locusts”, checking out the colours and textures of the products as for most it was their first test of Illamasqua in person. Transformations abounded, including Ponikuta who had an amazing interpretation of Body Electrics courtesy of International Trainer Daniel Busuttil. 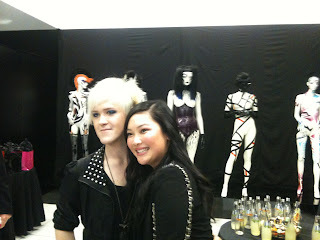 It was absolutely fantastic to introduce the Australian bloggers to Illamasqua as a brand and to the new counter, and was a great experience to meet them all. What a lovely, supportive (and beauty-obsessed!) group of bloggers they are. I’m looking forward to my next trip to Melbourne.